Data protection law is part of our personal rights. Especially in our constantly developing and networked world, the importance of these rights must not be underestimated. Hannes Nitsche & Simon Reichert GbR attaches great importance to data protection law in all its manifestations and requirements, which is why we take the protection of your data very seriously and always endeavour to provide an appropriate level of protection on our website, www.fadedfashion.com. You are free to use our website without disclosing your personal data. However, if you wish to make use of one of our services, in particular the comprehensive range of our Lifestyle Magazine, via our website, it may be necessary to collect and process your data. If this is the case and there is no legal basis for this processing, we will always obtain your consent for the respective process. The processing of your personal data, such as your name, address, e-mail address or telephone number, is always carried out in accordance with the Basic Data Protection Regulation and in accordance with the country-specific data protection regulations applicable to us. We would like to inform you and the public about the nature, scope and purpose of the personal data we collect, use and process in an understandable manner so that we can provide comprehensive information on the subject of data protection. As the data controller, we have implemented numerous technical and organisational measures to ensure that the personal data processed via this website is protected as completely as possible. Since, despite all technical precautions, absolute protection cannot be completely guaranteed during data transmission, you are also free to transmit your personal data by other means, for example by telephone. The data protection declaration of this website is based on the terms used by the European directive and regulation giver in the adoption of the data protection basic regulation (DS-GVO). Our data protection declaration should be easy to read and understand for the public as well as for you as a customer and business partner. In order to guarantee this, we would like to explain the terms used in advance. Data subject is any identified or identifiable natural person whose personal data are processed by the data controller. In case of doubt, you are therefore a data subject. (8) other similar data and information used to avert dangers in the event of attacks on our information technology systems. This anonymously collected data and information is therefore evaluated by us both statistically and with the aim of increasing data protection and data security in our company in order to ultimately ensure an optimum level of protection for the personal data processed by us. The anonymous data of the server log files will be stored separately from all of your personal data. 4. By using cookies, our website can provide you with more user-friendly services, which would not be possible without the setting of cookies. By means of a cookie, the information and offers on our website can be optimised in your interest. Cookies therefore enable us to recognise you. These are small files that are set when you visit websites. With their help, your Internet browser remembers that you have already visited our website once. The purpose of this recognition is to make it easier for users to use our website. If you use our website, for example, you do not have to enter your access data each time you visit the website, because this is taken over by our website and the cookie stored on your computer system. You can prevent the setting of cookies by our website at any time by setting the Internet browser used accordingly and thus permanently object to the setting of cookies. Furthermore, cookies that have already been set can be deleted at any time via your Internet browser or other software programs. This is possible in all common Internet browsers. If you deactivate the setting of cookies in the Internet browser used, it is possible that not all functions of our website are fully usable. 1350 Spring Street NW Atlanta, GA 30309 United States. Optanon is a performance cookie that we use to count visits and access sources to measure the performance of our Web site and use the results to improve our performance on a regular basis. They help us understand which pages are popular and how visitors move around the site. All information Optanon collects through cookies is aggregated and anonymous. In the case of Optanon, the cookies placed by OneTrust enable Marketos Cookie Banner and Cookie Preference Center. www.optanon.com/cookie-policy/ and www.cookielaw.org/optanon-eprivacy/ and https://www.onetrust.com/privacy-notice/. On our website you have the possibility to subscribe to the newsletter of our company. The personal data transmitted to the data controller when ordering the newsletter is determined by the input mask we use. (2) you register for the newsletter dispatch. For legal reasons, a confirmation e-mail in the double opt-in procedure will be sent to the e-mail address you entered for the newsletter dispatch for the first time. This confirmation e-mail serves to check whether you have authorised the receipt of the newsletter for the e-mail address. When you register for the newsletter, we also store the IP address assigned by your Internet Service Provider (ISP) at the time of registration as well as the date and time of registration. The collection of this data is necessary in order to be able to track the (possible) misuse of your e-mail address at a later point in time and therefore serves to legally safeguard the data controller. The personal data collected in the course of registering for the newsletter are used exclusively to send our newsletter. Furthermore, subscribers to the newsletter could be informed by e-mail if this is necessary for the operation of the newsletter service or registration in this respect, as might be the case in the event of changes to the newsletter offering or changes to the technical conditions. The personal data collected as part of the newsletter service will not be passed on to third parties. You can cancel your subscription to our newsletter at any time. The consent to the storage of your personal data, which you have given us for the newsletter dispatch, can be revoked at any time. For the purpose of revoking your consent, you will find a corresponding link in every newsletter. Furthermore, it is also possible at any time to unsubscribe from the newsletter dispatch directly on the website of the data controller or to inform the data controller of this in any other way. Our newsletters contain so-called tracking pixels. A tracking pixel is a miniature graphic embedded in e-mails sent in HTML format to enable log file recording and log file analysis. This allows statistical evaluation of the success or failure of online marketing campaigns. Using the embedded pixel-code, we can recognize if and when your e-mail was opened and which links in the e-mail were accessed by you. Such personal data collected via the tracking pixels contained in the newsletters are stored and evaluated by the person responsible for processing in order to optimise the newsletter dispatch and to adapt the content of future newsletters even better to your interests. This personal data will not be passed on to third parties. You are entitled at any time to revoke the relevant separate declaration of consent given via the double opt-in procedure. After a revocation these personal data are deleted by us. A deregistration from the receipt of the newsletter we automatically interpret as a revocation. Due to legal regulations, our website contains information that enables us to be contacted quickly and electronically and to communicate directly with you, which also includes a general address for so-called electronic mail (e-mail address). If you contact us by e-mail or via our contact form, the personal data you provide will be stored automatically. Such personal data transmitted to us by you on a voluntary basis will be stored for the purpose of processing or contacting you. These personal data will not be passed on to third parties. We process and store your personal data only for the period of time necessary to achieve the storage purpose or if this has been provided for by the European Directive and Regulation Body or another legislator in laws or regulations to which the data controller is subject. You have the right at any time to receive from us free information about your stored personal data (e.g. the purpose of processing or the categories of data to be processed) and a copy of this information. If this is the case, you have the right to information about this personal data. You also have a right to know whether your personal data has been transferred to a third country or to an international organisation. If this is the case, you also have the right to obtain information about suitable guarantees in connection with the transfer. If you wish to exercise this right to information, you can contact our contact person below at any time. You have the right to demand that we immediately correct any incorrect personal data concerning you. Taking into account the purposes of the processing, you also have the right to request the completion of incomplete personal data – also by means of a supplementary declaration. If you wish to exercise this right of rectification, you can contact our contact person below at any time. You have the right to demand that we delete your personal data without delay. We are also obliged to delete personal data immediately if there is a reason which does not justify the processing of the data (e.g. personal data were collected for such purposes or processed in any other way for which they are no longer necessary). If one of the above-mentioned reasons applies and you wish to have your personal data stored by us deleted, you can contact our contact person listed below at any time. He will arrange for your request for deletion to be complied with immediately. If we have made your personal data public and are obliged to delete them, we will take appropriate measures, including technical measures, to inform those responsible for data processing who process the personal data that you have requested us to delete all links to this personal data or copies or replications of this personal data, taking into account the available technology and implementation costs. The accuracy of the personal data is contested by you for a period of time that allows us to verify the accuracy of the personal data. We no longer need the personal data for the purposes of processing, but you need it for the assertion, exercise or defence of legal claims. We will notify you of any correction or deletion of your personal data or any restriction to processing, unless this proves impossible or involves the disproportionate effort. We will inform you of these recipients if you so request. You have the right to receive the personal data concerning you that you have provided to us in a structured, common and machine-readable format. Furthermore, you have the right to transfer these data to another responsible person without any hindrance on our part, to whom the personal data have been made available. In order to assert your right to data transfer, you can contact our contact person below at any time. You have the possibility to send us an unsolicited application via our contact form on our website. The application is made by e-mail including your application documents. We process the applicant data only for the purpose and within the framework of the application procedure in accordance with the statutory requirements. The processing of the applicant data is carried out to fulfil our (pre)contractual obligations within the scope of the application procedure within the meaning of Art. 6 Para. 1 lit. b. of the German Data Protection Act. DSGVO Art. 6 para. 1 lit. f. DSGVO insofar as data processing becomes necessary for us, e.g. within the framework of legal proceedings (in Germany, § 26 BDSG also applies). Applicant data usually includes your personal details, postal and contact addresses and the documents relating to your application, such as cover letters, curriculum vitae and certificates. In addition, applicants may voluntarily provide us with additional information. By submitting your application to us, you consent to the processing of your data for the purposes of the application procedure in accordance with the type and scope set out in this data protection declaration. If special categories of personal data within the meaning of Art. 9 Para. 1 DSGVO are voluntarily provided as part of the application process, they will also be processed in accordance with Art. 9 Para. 2 lit. b DSGVO (e.g. health data, such as severely disabled status or ethnic origin). If special categories of personal data within the meaning of Art. 9 para. 1 DSGVO are requested from applicants as part of the application procedure, they will also be processed in accordance with Art. 9 para. 2 lit. a DSGVO (e.g. health data if they are required for the exercise of a profession). In the event of a successful application, the data provided by you may be further processed by us for the purposes of the employment relationship. Otherwise, if the application for a job offer is not successful, the applicant’s data will be deleted. The applicant’s data will also be deleted if an application is withdrawn, which you of course have the opportunity to do at any time. Subject to justified revocation by the applicants, the data will be deleted after a period of six months so that we can answer any follow-up questions regarding the application and meet our obligations to provide evidence under the Equal Treatment Act. On our website we have integrated a link to our website on Facebook. Facebook is a social network on which our online magazine fadedfashion can also be found and which you can reach at any time. The operating company of Facebook is Facebook, Inc. 1 Hacker Way, Menlo Park, CA 94025, USA. If you live outside the USA or Canada, the person responsible for processing personal data is Facebook Ireland Ltd., 4 Grand Canal Square, Grand Canal Harbour, Dublin 2, Ireland. Each time you access one of the individual pages on this website that is operated by us and on which a Facebook link (Facebook plug-in) has been integrated, your Internet browser automatically prompts the respective Facebook component to download a display of the corresponding Facebook component from Facebook. A complete overview of all Facebook plug-ins can be found at https://developers.facebook.com/docs/plugins/?locale=en_DE. As part of this technical process, Facebook obtains information about which specific subpage of our website is visited by you. If you are logged in to Facebook at the same time, Facebook recognizes which specific page of our website you have visited each time you visit our website and for the entire duration of your stay on our website. This information is collected by the Facebook component and assigned to your Facebook account by Facebook. If you click on one of the Facebook buttons integrated on our website, for example the “Like” button, or make a comment, Facebook assigns this information to your personal Facebook user account and saves this personal data. Facebook receives information via the Facebook component that you have visited our website whenever you are logged in to Facebook at the same time as accessing our website, regardless of whether you click on the Facebook component or not. If you do not want this information to be transferred to Facebook in this way, you can prevent it from being transferred by logging out of your Facebook account before visiting our website. Facebook Connect is an offer from Facebook, Inc., 1 Hacker Way, Menlo Park, CA 94025, USA, to accelerate registration with Facebook while visiting another web service. If you live outside the USA or Canada, the person responsible for processing personal data is Facebook Ireland Ltd. 4 Grand Canal Square, Grand Canal Harbour, Dublin 2, Ireland. For the basic operation of Facebook, please read the previous point “12. We use Facebook”. While you are visiting our website, which provides simultaneous login via Facebook, you can log in to Facebook with just one click on the button provided for this purpose. In the following, a pop-up will open with the look of the Facebook login mask. Here you enter your Facebook login data, agree to the data transfer and are immediately logged on to Facebook. If you are logged in to Facebook at the same time, it is unlikely that you will need to enter any data, as a link between Facebook and our website will automatically take place. However, consent to access certain information on Facebook must still be given. The link between our website and Facebook transmits certain data stored on Facebook to us. Which data this is is summarized during authentication in the pop-up window that opens during registration. In any case, the publicly viewable data such as the profile including name, age, gender and profile picture are included. We use the “conversion pixel” or visitor action pixel of Facebook Inc., 1601 S. California Ave, Palo Alto, CA 94304, USA (“Facebook”). By calling this pixel from your browser, Facebook can then recognize whether a Facebook ad was successful, e.g. whether it led to an online purchase. For this purpose, Facebook only provides us with statistical data without reference to a specific person. This enables us to record the effectiveness of Facebook advertisements for statistical and market research purposes. In particular, if you are logged on to Facebook, we also refer you to its data protection information https://www.facebook.com/about/privacy/. Please go to www.facebook.com/settings?tab=ads if you want to revoke your consent to Conversion Pixel. We have integrated the component Google Analytics (with anonymization function) on our website. Google Analytics is a web analysis service. Web analysis is the collection, collection and evaluation of data about the behaviour of visitors to Internet pages. Among other things, a web analysis service collects data on which website you came from (so-called referrers), which subpages of the website were accessed or how often and for how long a subpage was viewed. A web analysis is mainly used to optimise a website and to analyse the costs and benefits of Internet advertising. We use the addition “_gat._anonymizeIp” for the web analysis via Google Analytics. This addition shortens and anonymizes Google’s IP address of your Internet connection if you access our Internet pages from a member state of the European Union or another state party to the Agreement on the European Economic Area. The purpose of the Google Analytics component is to analyse the flow of visitors to our website. Google uses the data and information obtained, among other things, to evaluate the use of our website, to compile online reports for us, which show the activities on our website, and to provide other services in connection with the use of our website. Google Analytics places a cookie on your information technology system. We have already explained to you in point 3 what cookies are. When the cookie is set, Google is able to analyse the use of our website. Each time you call up one of the individual pages of this website which is operated by us and on which a Google Analytics component has been integrated, the Internet browser on your information technology system is automatically prompted by the respective Google Analytics component to transmit data to Google for the purpose of online analysis. As part of this technical process, Google obtains knowledge of personal data, such as your IP address, which Google uses, among other things, to track the origin of visitors and clicks and subsequently to enable commission settlements. Through this measure, personal information, such as the access time, the location from which an access emanated and the frequency of your visits to our website is stored. Each time you visit our website, your personal data, including the IP address of the Internet connection you use, will be transmitted to Google in the United States of America. This personal data is stored by Google in the United States of America. Google may share this personally identifiable information collected through the technical process with third parties. Further information and the valid data protection regulations of Google can be called up under https://www.google.de/intl/de/policies/privacy/ and under http://www.google.com/analytics/terms/de.html. Google Analytics is explained in more detail under this link https://www.google.com/intl/de_en/analytics. Our website uses ConvertPro, an offer of Brainstorm Force, Vasant Utsav, Opp. Shell Petrol, Rajiv Gandhi Infotech Park, Hinjewadi, Pune, Maharashtra, India. Convert Pro is an advanced WordPress popup plugin with which website operators can create opt-in forms and call-to-actions for modal popups, info bars, slide-in forms, widget input fields. The multi-level opt-in functions and track conversions in Google Analytics allow us to evaluate the interests of users and the success of the campaign. The applicable data protection regulations of Brainstorm Force can be found at: https://www.convertplug.com/pro/privacy-policy/. Our website uses the web analysis service Hotjar of Hotjar Ltd.. Hotjar Ltd. is a European company based in Malta (Hotjar Ltd, Level 2, St Julians Business Centre, 3, Elia Zammit Street, St Julians STJ 1000, Malta, Europe Tel: +1 (855) 464-6788). With this tool, movements on the websites on which Hotjar is used can be traced (so-called heat maps). For example, you can see how far you scroll and which buttons you click and how often. Furthermore, it is also possible to use the tool to obtain feedback from you on the website. In this way we obtain valuable information in order to make our websites even faster and more customer-friendly. The above analysis is based on our legitimate interests for optimisation and marketing purposes and the design of our website in line with our interests in accordance with Art. 6 Para. 1 lit. f DSGVO. When using this tool, we pay particular attention to the protection of your personal data. In this way, we can only track which buttons you click and how far they scroll. Areas of the website in which personal data from you or third parties is displayed are automatically hidden by Hotjar and are therefore not traceable at any time. Hotjar offers you the possibility to prevent the use of the Hotjar tool with the help of a “Do Not Track Header”, so that no data about the visit of the respective website is recorded. This is a setting that all common browsers support in current versions. For this purpose, your browser sends a request to Hotjar to deactivate the tracking of the respective user. If you use our website with different browsers/computers, you must set up the “Do Not Track Header” separately for each of these browsers/computers. Our website uses the web service of the company CloudFlare Inc., 101 Townsend St, 94107 San Francisco, USA (hereinafter: CloudFlare). We use the data obtained with this program to ensure the full functionality of our website. In this context, your browser may transmit personal data to CloudFlare. The legal basis for data processing is Art. 6 Para. 1 lit. f DSGVO. The legitimate interest lies in the faultless functioning of the website. CloudFlare has certified itself within the framework of the EU-US Privacy Shield Agreement (see https://www.privacyshield.gov/list). The data will be deleted as soon as the purpose for which it was collected has been fulfilled. Further information on the handling of the transferred data can be found in CloudFlare’s data protection declaration: https://www.cloudflare.com/security-policy/?utm_referrer=https://www.google.de/. You can prevent CloudFlare from collecting and processing your data by deactivating the execution of script code in your browser or by installing a script blocker in your browser (e.g. at www.noscript.net or www.ghostery.com). Our website uses Google Maps map material. The use of this component requires Google LLC (“Google”) to recognize the IP address of the user. Without the IP address, Google could not send the content to the browser of the respective user. The IP address is therefore required for the presentation of this content. We make every effort to use only the content for which Google only uses the IP address to deliver the content. However, we have no influence on what happens to your data outside our sphere of influence, e.g. if Google stores the IP address for statistical purposes. As far as we know, we inform the users about this. Please also note the opt-out option: https://adssettings.google.com/authenticated. In addition to Facebook, we have integrated Twitter components on our website. Twitter is a multilingual, publicly accessible microblogging service on which users can publish and distribute so-called tweets, i.e. short messages limited to 140 characters. These short messages can be accessed by anyone, including those not registered on Twitter. The tweets are also displayed to the so-called followers of the respective user. Followers are other Twitter users who follow a user’s tweets. Furthermore, Twitter enables a broad audience to be addressed via hashtags, links or retweets. 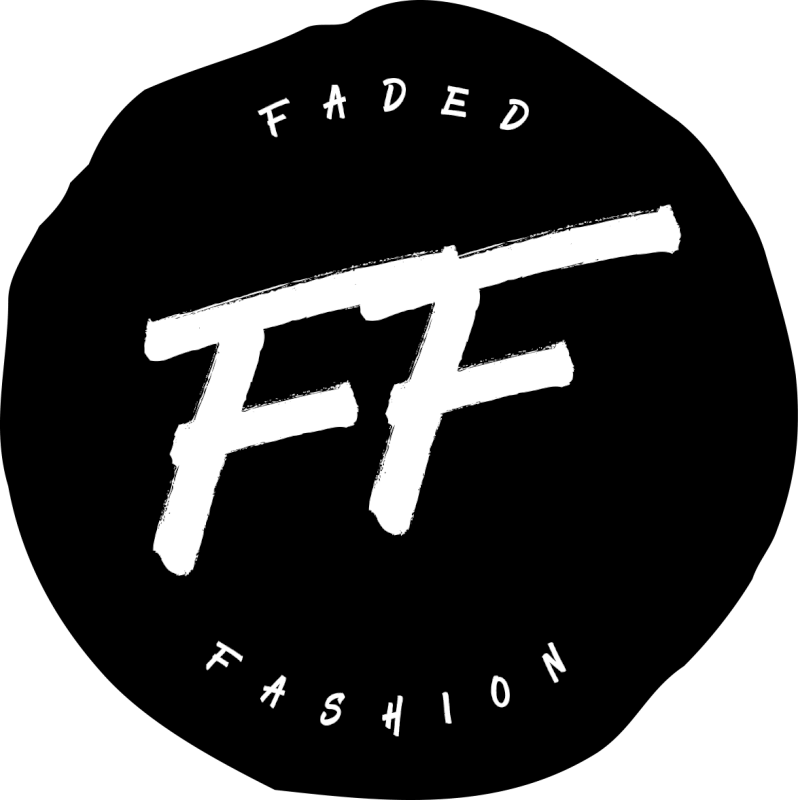 Each time you visit our website, www.fadedfashion.com, on which a Twitter component (Twitter button) has been integrated, the Internet browser on your information technology system is automatically prompted by the respective Twitter component to download a display of the corresponding Twitter component from Twitter. Further information on the Twitter buttons can be found at https://about.twitter.com/de/resources/buttons . As part of this technical process, Twitter receives information about which specific subpage of our website you are visiting. The purpose of integrating the Twitter component is to enable our users to disseminate the content of this website, to make this website known in the digital world and to increase our visitor numbers. Twitter always receives information via the Twitter component that you have visited our website when you are logged in to Twitter at the same time as accessing our website; this takes place regardless of whether you click on the Twitter component or not. If you do not agree with such a transfer of your data, you can prevent this transfer by logging out of your Twitter account before accessing our website. The current Twitter data protection regulations can be found at https://twitter.com/privacy?lang=en. To offer you a more interesting surfing experience on our website, we have integrated YouTube videos on our pages. YouTube is an internet video portal that allows video publishers to post video clips and other users to view, rate and comment on them free of charge. YouTube allows the publication of all types of videos, which is why complete film and television programmes, but also music videos, trailers or videos made by users themselves can be accessed via the Internet portal. Each time you access one of the individual pages on this website that is operated by us and on which such a Youtube video has been integrated, your Internet browser automatically prompts the respective YouTube component to download a display of the corresponding YouTube component from YouTube. More information about YouTube can be found at https://www.youtube.com/yt/about/de/ As part of this technical process, YouTube and Google obtain information about which specific subpage of our website you are visiting. If you are logged in to YouTube at the same time, YouTube recognizes which specific subpage of our website you are visiting by calling up a subpage containing a YouTube video. This information is collected by YouTube and Google and assigned to your YouTube account. YouTube and Google receive information via the YouTube video that you have visited our website if you are logged in to YouTube at the same time as you visit our website; this information is stored on your YouTube account. YouTube and Google will receive information via the YouTube video that you have visited our website whenever you are logged in to YouTube at the same time as accessing our website, regardless of whether you click on a YouTube video or not. If you do not want this information to be transferred to YouTube and Google in this way, you can prevent this transfer by logging out of your YouTube account before accessing our website. Our website includes videos about Vimeo.com. This is a service provided by Vimeo, Inc., 555 West 18th Street, New York, New York 10011, USA (hereinafter referred to as “Vimeo”). When you view videos via Vimeo, a connection is established to Vimeo’s servers in the United States. This transmits certain information to Vimeo. It may happen that Vimeo places cookies on your terminal device. Vimeo also allows you to use certain other functions, such as rating or sharing videos. To use this feature, you will need to log in to your Vimeo account or to certain third parties (such as Facebook or Twitter) so that they can associate the information you submit with your account. These features are provided solely by Vimeo and its third party vendors, and you should carefully review their privacy policies before using these features. We are not aware of the content of any information collected by Vimeo or any third party and have no control over its use. Through such inclusion, Vimeo may also be informed that your browser has accessed the relevant page of this website, even if you do not have a Vimeo account or are not currently logged in to Vimeo. We have integrated the Google+ button as a component on this website. Google+, like Facebook or Instagram, is a social network that serves as a meeting place for an online community, typically enabling users to communicate with each other and interact in virtual space. A social network can serve as a platform for exchanging opinions and experiences or enables the Internet community to provide personal or business information. Google+ enables users of the social network to create private profiles, upload photos and network via friend requests, among other things. Each time you access one of the individual pages of our website on which a Google+ button has been integrated, the Internet browser on your information technology system automatically prompts the respective Google+ button to download a display of the corresponding Google+ button from Google. As part of this technical process, Google obtains information about which specific subpage of our website is visited by you. More detailed information on Google+ can be found at https://developers.google.com/+/. If you are logged in to Google+ at the same time, Google recognizes which specific subpage of our website you are visiting with each of your visits to our website and for the entire duration of your stay on our website. This information is collected by the Google+ button and assigned by Google to your respective Google+ account. If you press one of the Google+ buttons integrated on our website and thereby make a Google+1 recommendation, Google assigns this information to your personal Google+ user account and saves this personal data. Google will store the Google+1 recommendation and make it publicly available in accordance with the terms and conditions you have accepted in this regard. A Google+1 recommendation made by you on this website will subsequently be stored and processed together with other personal data, such as your name, Google+1 accounts used and the photo stored in it, in other Google services, such as the search engine results of the Google search engine, your Google account or elsewhere, such as on websites or in connection with advertisements. In addition, Google is able to link your visit to this website with other personal data stored by Google. Google also records this personal information for the purpose of improving or optimising Google’s various services. Google receives information via the Google+ button that you have visited our website whenever you are logged in to Google+ at the same time as you visit our website. This takes place regardless of whether you click on the Google+ button or not. If you do not wish your personal data to be transmitted to Google, you can prevent such transmission by logging out of your Google+ account before visiting our website. Further information and the valid data security regulations of Google can be called up under https://www.google.de/intl/de/policies/privacy/. Further information from Google about the Google+1 button can be found at https://developers.google.com/+/web/buttons-policy. We have included a link to the Instagram Internet service on our website. Instagram is a platform that allows users to share photos and videos and also share such data on other social networks. Each time you access one of the individual pages of this site, which is operated by us and on which an Instagram component (Insta button) has been integrated, your Internet browser automatically prompts the respective Instagram component to download a representation of the corresponding Instagram component. As part of this technical process, Instagram will know which specific subpage of our website you are visiting. If you are logged in to Instagram at the same time, Instagram recognizes which specific page you are visiting each time you visit our site and for the entire duration of your visit to our site. This information is collected by the Instagram component and assigned to your Instagram account by Instagram. If you click on one of the Instagram buttons integrated on our website, the data and information transferred will be assigned to your personal Instagram user account and stored and processed by Instagram. Instagram always receives information from the Instagram component that you have visited our website when you are logged in to Instagram at the same time as you access our website, regardless of whether you click on the Instagram component or not. If you do not want this information to be shared with Instagram, you can prevent it from being shared by logging out of your Instagram account before you visit our site. We have also integrated a link to our Pinterest website on our website. Pinterest is also a so-called social network. Pinterest allows users to publish collections of pictures and single pictures as well as descriptions on virtual pinboards (so-called pinning), which in turn can be shared (so-called repinning) or commented on by other users. By each call of one of the single pages of this internet page, which is operated by us and on which a Pinterest component (Pinterest plug-in) has been integrated, your internet browser automatically causes the respective Pinterest component to download a representation of the corresponding Pinterest component from Pinterest. More information about Pinterest is available at https://pinterest.com/. As part of this technical process, Pinterest will know which specific page on our website you are visiting. If you are logged into Pinterest at the same time, Pinterest recognizes which specific page of our website you are visiting each time you access our website and for the entire duration of your stay on our website. This information is collected by the Pinterest component and assigned to your Pinterest account by Pinterest. If you click on the Pinterest link displayed on our website, Pinterest assigns this information to your personal Pinterest user account and stores this personal data. Pinterest receives information through the Pinterest component that you have visited our website whenever you are logged in to Pinterest at the time you access our website, regardless of whether or not you click on the Pinterest link. If you do not want Pinterest to receive such information, you can prevent such transmission by logging out of your Pinterest account before accessing our website. We have also integrated Google AdWords into our website. Google AdWords is an Internet advertising service that allows advertisers to serve ads in both Google’s search engine results and the Google advertising network. Google AdWords enables us as advertisers to specify certain keywords in advance, by means of which an advertisement in Google’s search engine results is only displayed if the user retrieves a keyword relevant search result with the search engine. In the Google advertising network, the ads are distributed to topic-relevant Internet pages using an automatic algorithm and taking into account the previously defined keywords. If you reach our website via such a Google advertisement, a so-called conversion cookie is stored on your technological unit by Google. What cookies are has already been explained above. A conversion cookie loses its validity after thirty days and does not serve to identify you. If the cookie has not yet expired, the conversion cookie is used to track whether certain subpages, such as the shopping cart of an online shop system, have been accessed on our website. The conversion cookie enables both we and Google to track whether a person affected who came to our website via an AdWords ad generated a turnover, i.e. completed or cancelled a purchase of goods. The conversion cookie is used to store personal information. Accordingly, each time you visit our website, your personal data, including the IP address of the Internet connection used, is transmitted to Google in the United States of America. This personal data is stored by Google in the United States of America. Google may share this personally identifiable information collected through the technical process with third parties. Further information and the valid data protection regulations of Google can be called up under https://www.google.de/intl/de/policies/privacy/. We include Google AdSense advertisements on our website. This is a service of Google LLC, 1600 Amphitheatre Parkway, Mountain View, CA 94043 USA, hereinafter referred to only as “Google”. Google AdSense stores cookies and so-called web beacons on your end device via your Internet browser. This enables Google to analyse your use of our website. The information collected in this way is transferred to Google in the USA in addition to your IP address and the advertising formats displayed to you and stored there. Google may also pass this information on to contractual partners. However, Google declares that your IP address will not be merged with other data from you. The legal basis is Art. 6 Para. 1 lit. f) DSGVO. Our legitimate interest lies in the analysis, optimisation and economic operation of our website. In addition, Google offers further information at https://policies.google.com/privacy and https://adssettings.google.com/authenticated, in particular on the possibilities of preventing the use of data. We use the OneSignal service for notifications, also called push notifications. These are implemented with the help of OneSignal, 2194 Esperanca Avenue, Santa Clara, CA 95054, USA, which provides this function as a service. Our website uses the DISQUS commenting feature provided by Disqus Inc, 301 Howard Street, Suite 300, San Francisco, CA 94105, USA (hereinafter referred to as “Disqus”). Disqus is an interactive comment system that allows the registered user to comment on any website that uses Disqus with just one login. Disqus allows you to sign in via existing accounts on Facebook (via Facebook Connect), Twitter and Google+. If you log in via your Facebook, Twitter, Google+ account, these providers may also collect, store and use data. Details can be found in the data protection regulations of the respective provider. It is also possible to use the comment function as a “guest” without registering. However, some functions will then not be available. In addition to the comment text, Disqus transmits your e-mail address and IP address to us. We need the comment text in order to be able to publish it. We need the other information exclusively for the purpose of contacting you in connection with your use of DISQUS, for example if we have questions about your user comment or to avoid liability and misuse. In order to avoid liability for comment content, it may also be necessary for us to delete comments, exclude them from publication or – as a milder measure and with appropriate labelling – edit them. Our website uses Font Awesome, an offer of Fonctions Inc, 6 Porter Road, Apartment 3R, Cambridge, MA 02140, United States. In order to display the contents of our website correctly and graphically appealing across browsers, we use this script library or font library on our website to avoid multiple loading into the cache of your browser. If the browser does not support Font Awesome or prevents access, content is displayed in a standard font. Calling script libraries or font libraries automatically triggers a connection to the library operator. It is theoretically possible – but currently unclear whether and for what purposes – for the operators of such libraries to collect data. We have integrated adgoal on our website. Adgoal is a German affiliate network which offers affiliate marketing. Affiliate marketing is an Internet-supported sales form that enables commercial operators of Internet sites, the so-called merchants or advertisers, to display advertisements, which are usually paid by click or sale commission, on Internet sites of third parties, i.e. sales partners who are also called affiliates or publishers. Via the affiliate network, the merchant provides an advertising medium, i.e. an advertising banner or other suitable means of Internet advertising, which is subsequently integrated by an affiliate on its own Internet pages or advertised via other channels, such as keyword advertising or e-mail marketing. Adgoal places a cookie on your server. We have already explained above what cookies are in principle. The adgoal tracking cookie does not store any personal data whatsoever. Only the identification number of the affiliate, i.e. the partner referring the potential customer, as well as the order number of the visitor to a website and the advertising medium clicked on are stored. The purpose of storing this data is to process commission payments between a merchant and the affiliate, which are processed via the affiliate network, i.e. adgoal. You can prevent the setting of cookies by our website, as described above, at any time by means of an appropriate setting of the Internet browser used and thus permanently object to the setting of cookies. Such a setting of the Internet browser used would also prevent adgoal from setting a cookie on the information technology system of the person concerned. In addition, cookies already set by adgoal can be deleted at any time via an Internet browser or other software programs. adgoal’s current data protection regulations can be found at https://www.adgoal.de/de/privacy.html. We use the Gravatar service of Automattic Inc, 60 29th Street #343, San Francisco, CA 94110, USA, on our website. Gravatar is a service where you can sign up and deposit profile pictures and your email addresses. If you leave contributions or comments with the respective E-Mail address on other on-line presences (particularly in Blogs), so your profile pictures can be represented beside the contributions or comments. For this purpose, the e-mail address you provide will be transmitted to Gravatar in encrypted form for the purpose of checking whether a profile is stored for it. This is the only purpose of the transmission of the e-mail address and it is not used for other purposes, but deleted afterwards. If you do not agree that a user image linked to your e-mail address at Gravatar should appear in the comments, you should use an e-mail address which is not stored at Gravatar for commenting. It is also possible to use an anonymous e-mail address or no e-mail address at all if you do not wish your e-mail address to be sent to Gravatar. You can completely prevent the transmission of data by not using our comment system. The legal basis for the processing operations mentioned above is fadedfashion pursuant to Art. 6 I lit.a DS-GVO, where we obtain your consent for a specific processing purpose. If the processing of personal data is necessary, for example, due to the fulfilment of a contract between you and us, this processing is justified by Art. 6 I lit.b DS-GVO. The same applies to such processing operations which are necessary for the implementation of pre-contractual measures, such as in cases of inquiries about our products or services. It may also happen that the processing of personal data becomes necessary in order to protect your vital interests or the interests of another natural person. Ultimately, processing operations could be based on Art. 6 I lit. f DS-GVO. Processing operations that are not covered by any of the aforementioned legal bases are based on this legal basis if the processing is necessary to safeguard a legitimate interest of our company or a third party, provided that your interests, fundamental rights and fundamental freedoms do not prevail. Such processing operations are permitted to us in particular because they have been specifically mentioned by the European legislator. This would be the case, for example, if you were a customer of our company. (Recital 47 sentence 2 DS-GVO). The criterion for the duration of the storage of personal data is the respective legal retention period. After this period has expired, the corresponding data will be routinely deleted unless they are no longer required for the performance of the contract or the initiation of the contract. We will inform you that the provision of personal data is partly required by law (e.g. tax regulations) or may result from contractual provisions (e.g. information on the contractual partner). In addition, it may be necessary for a contract to be concluded that you provide us with personal data that must subsequently be processed by us. For example, you are obliged to provide us with personal data when our company concludes a contract with you. Failure to provide personal data would mean that the contract could not be concluded. Before providing your personal data, you should contact one of our employees. Our employee will explain to you on a case-by-case basis whether the provision of your personal data is required by law or contract or is necessary for the conclusion of a contract, whether there is an obligation to provide the personal data and what consequences the non-availability of the personal data would have. 39. Do we use profiling? Last but not least, we would like to inform you that we do not use automatic decision making or profiling.